[vid 2014] THE JEWISH GAS CHAMBER HOAX Never before seen evidence helps prove that Treblinka was a transit camp, far from the "Pure Extermination Camp" myth currently promoted by the Holocaust religion. In never before seen footage, Jews themselves who were transited through Treblinka describe the process of being transferred from Treblinka to other camps, along with hundreds and thousands of other men women and children. 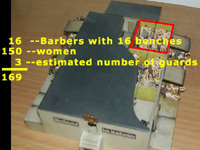 Documentation is presented which affirms that Treblinka was no top secret "pure extermination center", but a simple transit camp where many Jews took real showers in order to keep them alive. The absurdity of diesel gassings, non-existent mass graves, forced confessions, and more are covered in THE JEWISH GAS CHAMBER HOAX, a new documentary from the filmmaker of THE LAST DAYS OF THE BIG LIE. 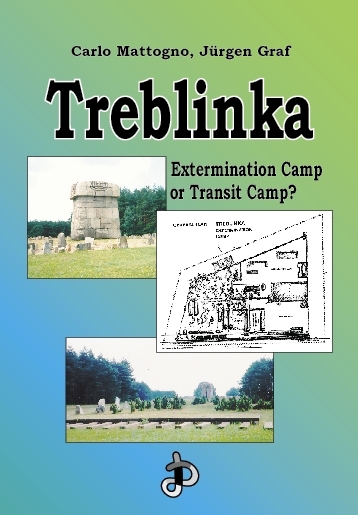 Comments on Treblinka Statements by Caroline Sturdy Colls All in all, the information revealed by these interviews about the findings of the 2011 geophysical survey at Treblinka provides us with more questions than answers. We can only wait and hope that a preliminary report on the research results is not too long in coming. One thing is sure, however, namely that little indicates that the findings of Caroline Sturdy Colls have actually “proven Holocaust deniers wrong” with regard to Treblinka. On the contrary: the information revealed seems to hint that the findings of Caroline Sturdy Colls may well spell the doom of the official historiography on Treblinka. ‘No Jewish mass grave’ in Poland Richard Krege, 30, of Canberra said that data collected during a week at Treblinka, using ground penetrating radar, found no soil disturbance consistent with 870,000 Jews having been buried there. Were 900,000 Jews "gassed" at Treblinka? Were 3.9 Million "Steamed to Death" in "steam chambers" there too, as according to Nuremberg trial "evidence"? The official "Holocaust" story is that Treblinka 2 is the largest mass burial site in the entire world, where the Germans gassed 900,000 Jews in 13 "gas chambers disguised as shower rooms." "Holocaust Deniers" or "Holocaust Revisionists" claim there's no evidence for that, and tales of "gas chambers disguised as shower rooms" stories are wartime atrocity fiction, similar to previously debunked claims about Jews being made into soap and lampshades. 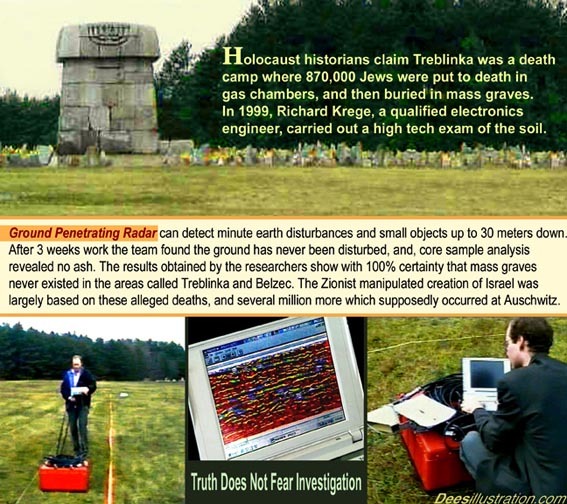 The Treblinka Archaeology Hoax debunks Zionist British Archaeologist Caroline Sturdy Colls' fraudulent "investigation" of Treblinka, which included digging near clearly marked Christian graves claiming to find new "hidden mass graves", falsely assigning homicidal intent to a normal life-saving shower room at Majdanek, and misidentifying a terra-cotta tile excavated at Treblinka as belonging to the floor of a homicidal "gas chamber." The Jewish Gas Chamber Hoax By Eric Hunt As of 2014, Steven Spielberg's "Survivors of the Shoah Visual History Foundation" has recorded nearly 52,000 interviews in 56 countries and in 32 languages with so-called "Holocaust survivors." The present documentary uses some of them to prove that the orthodox tale about the alleged extermination camp at Treblinka is untenable. It is a Revisionist documentary presenting the latest evidence debunking the greatest hoax in human history: “The Holocaust” – that is to say, the fraudulent claim that six million Jews were murdered by Germans, mostly in “Gas Chambers disguised as Shower Rooms.” Never before seen evidence helps prove that Treblinka was a transit camp, far from the “Pure Extermination Camp” myth currently promoted by the Holocaust religion. For the first time ever, listen to Jews themselves who were transited through Treblinka describe the process of being transferred from Treblinka to other camps, along with hundreds and thousands of other men women and children. Documentation is presented which affirms that Treblinka was no top secret “pure extermination center,” but a simple transit camp where some Jews even took real showers in order to keep them alive. The absurdity of diesel gassings, non-existent mass graves, forced confessions, and more are covered in The Jewish Gas Chamber Hoax, a new documentary from the filmmaker of The Last Days of the Big Lie. Carlo Mattogno, Jürgen Graf, Treblinka. Extermination Camp or Transit Camp? It is claimed that at Treblinka camp, between 700,000 and 3,000,000 Jews were murdered in 1942 and 1943. The weapons used were alleged to have been stationary and/or mobile gas chambers, poison gases of both fast acting and slow acting varieties, quicklime, superheated steam, electricity, diesel exhaust fumes... This thorough study exposes the Treblinka hoax.